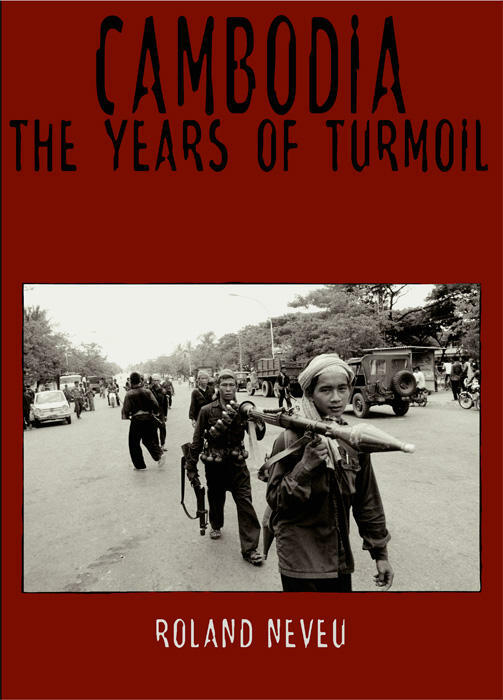 My book ‘CAMBODIA: the years of turmoil’ which was first publish in 2000 has gone through a facelift and will be out soon. Almost by popular demand as the first edition has sold out. The new version is a little smaller (A4 size) will have 160 pages, duotone printing. Several new pictures were added (which were lost for a number of years and has been retrieved from Gamma) and a number of pages were re-designed. A soft cover version is in printing now and will retail for us$29,50 (much less than the first edition with its hard cover). The distribution will cover Southeast Asia, as for the first edition. If distributors in other parts of the world are interested, I’ll be please to accommodate their orders (shipping out of Bangkok). The book will also be available online from Asia Horizons Books website (more on this at a later date).